Album titles were: 1985 Bonded by Blood, 1987 Pleasures of the Flesh, 1989 Fabulous Disaster, 1990 Impact is Imminent, and 1992 Force of Habit. 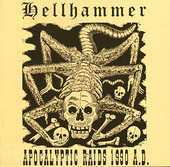 This is one of the earliest thrash metal bands. Kirk Hammett was part of the very first line-up although he left before any albums were recorded. Exodus made some good albums over the years but failed to match the commercial bands. They are still around and in 1997 recorded a live album. The current line-up is Paul Baloff, Rick Hunolt, Gary Holt, Jack Gibson, and Tom Hunting. In 1981 Billy Gould, Mike Bordin, Wade Worthington, and Mike Morris form a band called Sharp Young Men, Which they changed to Faith No Man, then in 1982 Wade leaves the band and Roddy Bettum joins. Then Mike Morris gets kicked out and they change the name to Faith No More. 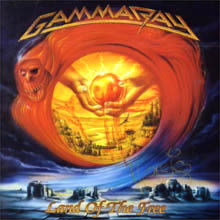 In 1983 Chuck Mosely joins and in 1984 Jim Martin joins and the band signs with an independant label. In 1988 Mosely is fired for his attitude and drug problems and then sues the band. The band hires Mike Patton and in 1990 they were nominated for a grammy but lost. They become popular in the UK and hit the US top 10, and The Real Thing went double platinum. In 1993 Jim Martin is fired and Dean Menta ia hired. Then in 1996 Menta is fired and Jon Hudson joins. In 1983 Fates Warning was formed and in 1984 they signed with Metal Blade Records. In 1986 Victor Arduini was replaced with Frank Aresti. In 1987 Ray Alder was replaced with John Arch. 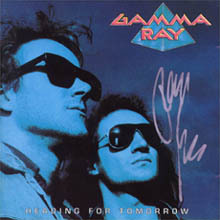 In 1988 the band reached 111 on the Billboard charts. Mark Zonder is replaced with Steve Zimmerman during that same year. In 1996 Frank Aresti and Joe DiBiase leaves the band and Joey Vera joins. The current line-up is Ray Alder, Jim Matheos, Joey Vera, Kevin Moore, and Mark Zonder. 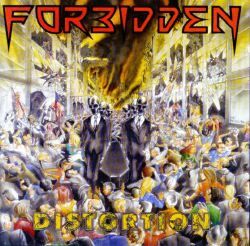 This speed metal band was formed by Jason Newsted and Kelly Smith, along with Eric Knutson, Michael Gilbert, and Ed Carlson. Newsted left in 1986 to join Metallica but the band contined on making metal and is still around today. The current line-up is Eric Knutson, Ed Carlson, Jason Ward, Craig Neilson, and Mark T Simpson. 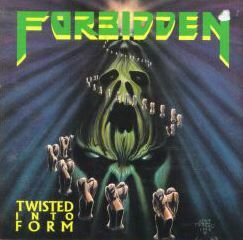 Forbidden were from San francisco CA and were a thrash metal band formed in the late 80's. the band had some success early in their career but had too many record label problems and so broke up in 1997. 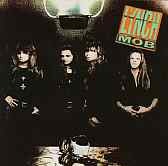 The last lineup was Russ Anderson-vocals, Craig Locicero-guitars, Tim Calvert-guitars, Matt Camacho-bass, Steve Jacobs-drums. Ace Frehley played in many small bands before joining Kiss in 1973. In 1978 each member of Kiss did a solo album and Frehley's was the best and sold the most copies. In 1982 Frehley was in an accident and was replaced by Vinnie Vincent. Some years later Frehley formed his own band called Frehley's Comet. 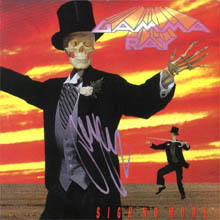 Gamma Ray are from Germany and was formed in the late 80's by Kai Hansen after leaving Helloween. 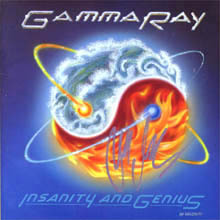 The group is a power metal band that are still active and has just released a new album for 2001. The current lineup is Kai Hansen-vocals/guitars, Henjo Richter-guitars/keyboards, Dirk Schlachter-bass, Dan Zimmermann-drums. Grave Digger are from Germany and are a power metal band that formed in the early 80's. The band split up in 1987 and reformed in 1993 and are still active today. They just released a new album in 2001. The current lineup are: Chris Boltendahl-vocals, Manni Schmidt-guitars, Jens Becker-bass, Stefan Arnold-drums, Hp Katzenburg-keyboards. 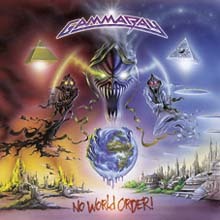 This is a good Metal band that never really made it big. They only released three albums, "See you in Hell", "Rock you to Hell", and "Fear no Evil". 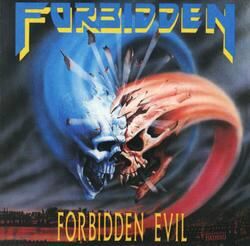 See you in Hell and Fear no Evil are great albums but almost impossible to find. The final line-up was Steve Grimmett, Nick Bowcott, Dave Wanklin, and Lee Harris. "See You In Hell" is one of my all time favorites! It is their best. This is a heavy metal band from Virginia. They perform acts onstage while singing, each member wearing a different costume and up to 18 or more members at once participating, each with their own role. The members are also in a band called X-Cops. The current members are Dave Brockie, Mike Derks, Peter Lee, Casey Orr, Danyell Stampe, Chuck Varga, and Brad Roberts. 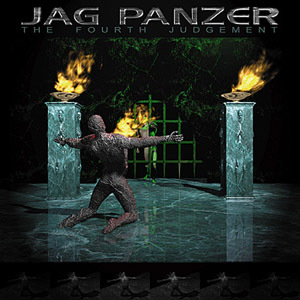 This is a thrash band from Germany who started out with Kai Hansen and Piet Sielck in 1979. The bands name was first called Gentry and was then changed to Iron fist, and finally in 1985 they changed the name to Helloween and released their first full length album. Through the years the band changed members and then in 1996 tragedy truck when member Ingo Schwichtenberg committed suicide by jumping in front of a train. The current members are Andi Deris, Michael Weikath, Roland Grapow, Marcus Grobkopf, and Uli Kusch. 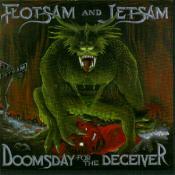 This is a great Metal band from the U.S. that never made it big, but deserved more popularity. They released five albums and the first three were the best. The first was "Burning Star" and was a great album. The second, "Remnants of War", also another good one. The third album, "A Distant Thunder", which is also very good. These albums are also tough to find accept for A distant thunder and their latest albums. The origonal line-up was Larry Barragan, Tom Rogers, Paul Medina, Hector Pevon, and James Rivera. "Burning Star" is one of my all time favorites! 4 stars to "A Distant Thunder and 3 to "remnants of War". 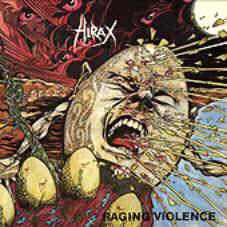 Hirax was formed in the early 80's in Los Angeles CA and was one of the first thrash metal bands around. Katon W. Depena/vocals formed the band. In the mid 80's Hirax did alot of local tours with well known bands. They built up an incredibly large following over the years but still never made it out of the underground. 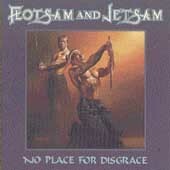 They released only two regular albums and a live one before they disbanded in the late 80's. After a decade of silence the band has returned with a vengeance, releasing the new album "Barrage of Noise", which is their best to date. The current lineup are: Katon W. Depena-vocals, James Joseph Hubler-guitars, Mike Brickman-bass, Dan Bellinger-drums and Jim Durkin-guitars. 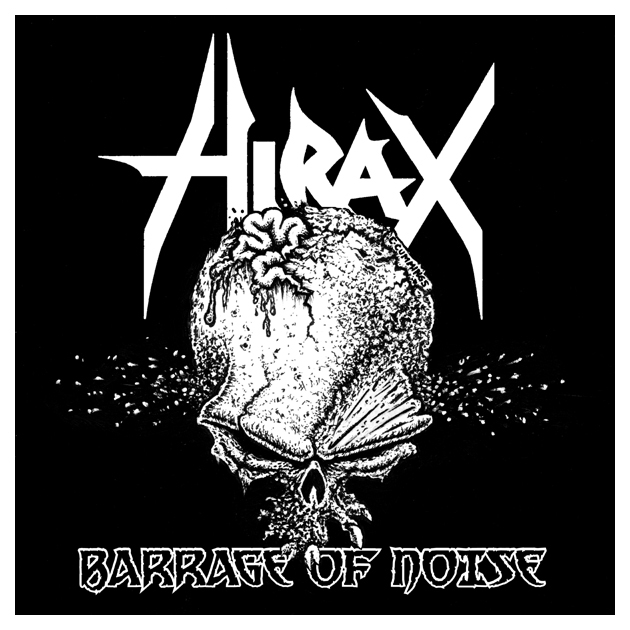 Five Stars to Hirax and their long awaited return and the new eight song album, "Barrage of Noise" which is their best album to date. This album sounds great! Welcome back HIRAX! Metal Rules, Forever! The Trooper. 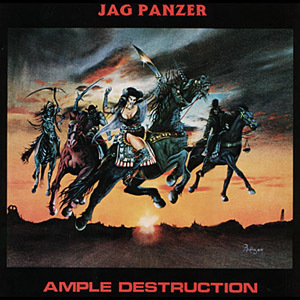 Jag Panzer was formed in the early 80's in Colorado. 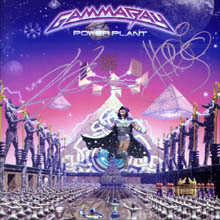 They are a traditional power metal band and are still active today. The band has just released a new album in 2001. The current lineup is Harry Conklin-vocals, Chris Broderick-guitars, Mark Briody-guitars, John Tetley-bass, and Rikard Stjernguist-drums. This is a heavy metal band from Denmark. After the breakup of Mercyful Fate the frontman King Diamond started his own band. The music was similar to MF although the satanic influences were toned down and the lyrics were written as horror stories instead. Mercyful Fate has reformed and King Diamond is actually working with both bands now. The current line-up is King Diamond, Andy LaRocque, Herb Simonsen, Chris Estes, and John Herbert. Kings X was formed in Houston TX in the late 80's and are still active today. The sound of the band is very different from most metal bands and not many sound like them at all. The current lineup is Doug Pinnick-vocals/bass, Ty Tabor-vocals/guitar, Jerry Gaskill-vocals/drums. 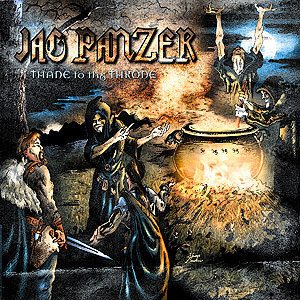 This is a German metal band from the eighties that started out with a hard thrash sound to their music but most of their newer stuff has been aimed at a more gothic/indistrial genre. 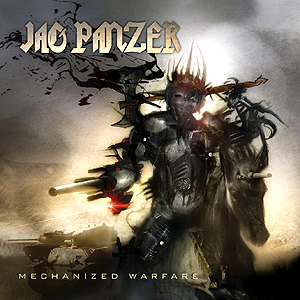 The current lineup for the band are: Mille Petrozza, Tommy Vetterli, Christian Geisler, and Jurgen "Ventor" Reil. "Outcast" and "Endorama" are two of the best metal albums of the 90's. The new album, "Violent Revolution" also deserves 5 stars. It sounds great and is the best produced yet. It's one of the greatest albums to date so go and buy it now and set your mind on fire! This band formed in Switzerland in 1974. After four years they went from playing a sound like Genesis to more of a heavy sound like AC/DC. The songs were basic and had repeated choruses. 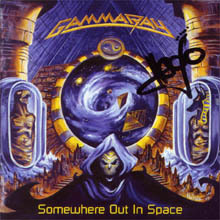 The band had many line-up changes over the years, the origional was Chris Von Rohr, Fernando Von Arb, Jurg Naegeli, Tommy Kiefer, and Freddy Steady. 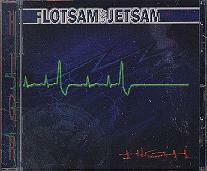 This was a band from the US that started in 1984 with Vernon Reid, Muzz Skillings, William Calhoun, and Corey Glover. Vivid hit #6 in the US and the band was known as the nation's most articulate black rock band. In 1995 the band broke up and Reid released a solo album. This band formed in 1983 in Los Angeles and took their name from the axe murderess. 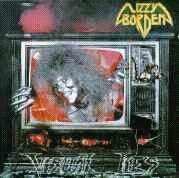 They used alot of horror imagery in their songs and onstage acts. 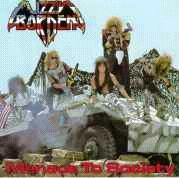 In 1987 they disbanded and Borden went on to make a solo album called Master of Disguise. They were a good 80's metal band that released six albums before breaking up. "Love You To Pieces" & "Deal With the Devil" are the bands two greatest albums to date. "Love You To Pieces" is a metal classic and one of my all-time metal favorites. "Deal With the Devil" sounds great and is also one of my favorite albums. This is a Japanese metal band who followed in the footsteps of Bow Wow(the first japanese metal band). Their best album was Thunder in the East. The current line-up is Masaki Yamada, Akira Takasaki, Naoto Shibata, and Hiro Honma. The best album Loudness ever made was "Thunder In The East", and one of my all time favorites. 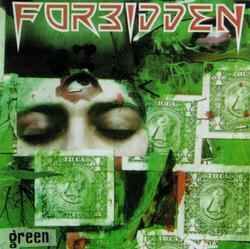 This band was formed by George Lynch and Mick Brown after Dokken broke up. The music was more R&B instead of the hard rock Dokken sound. Neither album made it big and the band ultimately split up.